Steve Antczak and I have co-edited another anthology together. Clockwork Fairy Tales: A Collection of Steampunk Fables is an anthology of nine classic fairy tales retold in steampunk settings. It includes stories by K. W. Jeter, Steven Harper, Kat Richardson, Paul Di Filippo, Jay Lake, Nancy A. Collins, G. K. Hayes, Gregory Nicoll, and Pip Ballantine. Publishers Weekly calls it "one of the most inspired mash-ups of the year." Clockwork Fairy Tales is available in bookstores now. 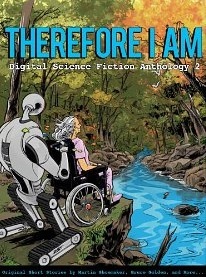 My short story "Breakers" appears in the new anthology from Digital Science Fiction called Therefore I Am "Breakers" is a near-future science fiction adventure tale of the dangerous, rough-and-tumble lives of a freelance space salvage crew who find more than they bargained for when scavenging a mysterious spaceship. The book is available in both print and eBook editions. Get it now! I co-edited (along with Steve Antczak and Martin H. Greenberg) a new horror anthology called Zombiesque, a collection of zombie stories -- told from the zombies' point of view. No, these are not your standard brain-dead moaning, shambling mounds -- these are scary shambling mounds with personality! The anthology features stories by Nancy Collins, Charles Pinion, Tim Waggoner, Richard Lee Byers, Robert Sommers, Seanan McGuire, G. K. Hayes, Jim C. Hines, Sean Taylor, Jean Rabe, Gregory Nicoll, Del Stone Jr., S. Boyd Taylor, Laszlo Xalieri, Nancy Holder, and Wendy Webb. The book is available now at bookstores everywhere. Go! With all the carving I do, I've learned a little bit about rocks and things. 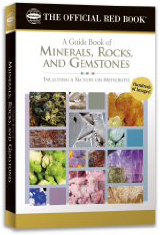 Enough that I was hired by the venerable Whitman Publishing Company to write A Guide Book of Minerals, Rocks, and Gemstones for them If you're interested in rocks, or if you just like high-quality reference books with lots and lots of pretty pictures, this one should definitely be in your library. 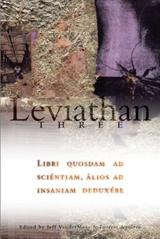 Published in Leviathan 3 (Ministry of Whimsy Press), winner of the 2003 World Fantasy Award for best anthology. My short story "Disney's World" is a long-time favorite. Is it socio-political satire, or is it just Goofy? Find out for yourself at RevolutionSF. View my freelance writing portfolio.